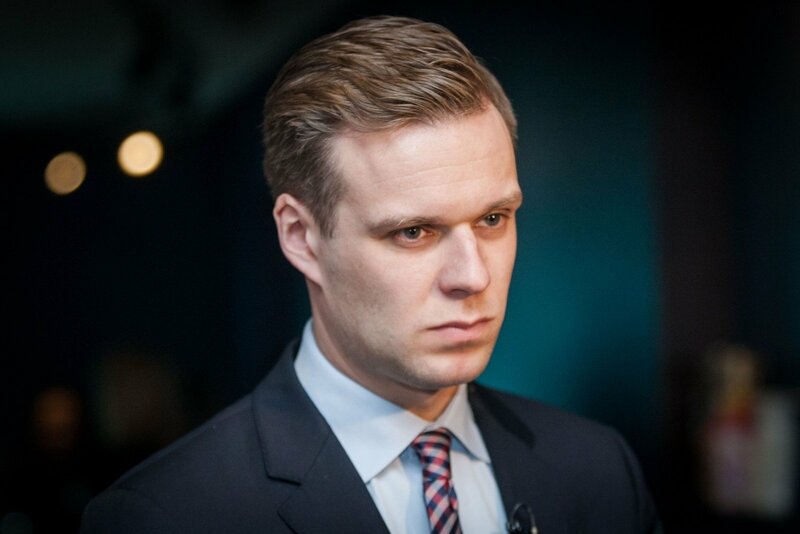 Gabrielius Landsbergis won the Homeland Union – Lithuanian Christian Democrats (TS-LKD) chairman election by a landslide, taking 62% of the vote. This victory was not unexpected, however the vast gap in votes was an unpleasant piece of news for the Christian Democrat wing. Particularly so for one of its representatives Žygimantas Pavilionis, who has been open regarding his presidential ambitions. However these ambitions are now being left in question, with Ž. Pavilionis taking only 12% of the vote and third place in the chairman election. Second place went to Paulius Saudargas who received 19% of the vote, with fourth place going to Mykolas Majauskas with 7% of the vote. “To become president you need to earn 50 + 1 vote from all voters in Lithuania in the second round. Meanwhile even among fellow party members Žygis [Ž. Pavilionis] only obtained 12%. 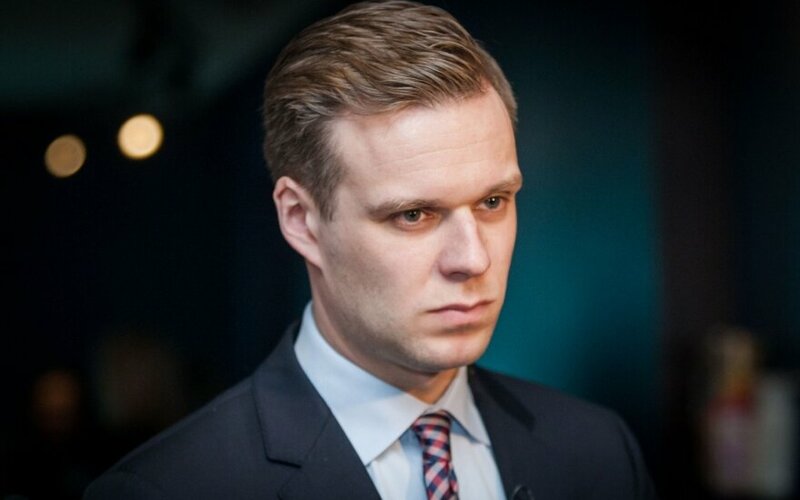 You need all the conservative voters, all liberal voters, then de facto all the SocDems and even then it would be insufficient,” one of the Conservative party members who supported G. Landsbergis said. The politician pointed out that by participating in the chairman elections Ž. Pavilionis burned himself, pointing out that this is based on elementary maths – it is almost impossible to appeal to the public and a wide electorate from third place. The conservative who wished to remain anonymous also reminded that Ž. Pavilionis has called the Liberals an existential threat, thus shouldn’t expect support from them. Such support would hypothetically be important in the second round of presidential elections. He also notes that Ž. Pavilionis lost the “presidential narrative” and, as an individual, no longer appears uniting and beyond partisanship. The Christian Democrat wing, however claims that such a narrative, that supposedly Ž. Pavilionis will no longer be capable of participating in the presidential elections, is an intentional act of G. Landsbergis’ team, seeking to weaken Pavilionis’ prospects. “Now they will do it intentional, claiming he burned himself, that he cannot run for president because he gathered only 12% of this vote,” one Christian democrat said. The Homeland Union – Lithuanian Christian Democrats have three individuals who could and/or would want to participate in the presidential election. M. Majauskas has already identified that his favourite for the post is former Minister of Finance in the Andrius Kubilius government, current member of Seimas Ingrida Šimonytė. She does not formally belong to the party, but is rather popular, having won her mandate during the first round in Antakalnis district. Another potential candidate is European Union ambassador in Moscow Vygaudas Ušackas, who also worked in the Kubilius government as Minister of Foreign Affairs, but was forced to resign due to poor relations with President Dalia Grybauskaitė. Those more observant will have noticed that V. Ušackas supported G. Landsbergis during the chairman election, even going to campaign together to Panevėžys. Ž. Pavilionis has hinted at his presidential ambitions during chairman election campaign debates. When asked about it, Pavilionis responded that there apparently were those urging to withhold from participating in the chairman election and that failing to win, he would lose the opportunity to aim for the highest posts in 2019. “Regarding the presidential elections, you have heard various such comments or hints. I will honestly say this – many people have told me that by doing so (running for the post of party chairman – Delfi) I am closing off the paths to the highest posts in 2019, but I made this decision because I clearly understand that this community is the most important to me,” the member of Seimas said. There have been discussions among the conservatives that Ž. Pavilionis may have been promised support in the presidential election if he did not run in the party chairman election. That said there are other talks, based on which the proposal regarding the presidential election was expressed by G. Landsbergis’ team already when the Seimas group prefect was being elected and Ž. Pavilionis could have participated as a competitor to G. Landsbergis. Finally Ž. Pavilionis opted against participating in the prefect election and some politicians quipped that by trusting such promises Ž. Pavilionis will simply lose. However Pavilionis himself says that he has received no such promises and the discussion about presidential elections is premature. “I believe it is too early to talk about it currently because the dust has yet to settle after the Seimas elections. Meanwhile the process for 2019 is unclear. I believe it will be clarified. Candidates will appear in the party and around it, we have to watch how the process develops. I believe that regardless of anything this community has to have its own candidate, however they are selected. I believe that this community is of a Western inclination and is the guarantee of independence. Knowing that in the next election we may have all sorts of candidates who may not necessarily pursue a Western direction and may not necessarily be most interested in freedom,” Pavilionis said. During the previous presidential elections in 2014 and 2009 the TS-LKD did not put forward its own candidate, instead supporting D. Grybauskaitė. This time President Grybauskaitė will not be participating in the election because based on the constitution the same individual cannot be elected president more than twice in a row. G. Landsbergis will not be eligible to run for president as the party’s candidate because the Constitution requires an individual to be of Lithuanian origin, having lived in Lithuania for no less than the past 3 years, to be 40 years old by election day and to be eligible to run in the Seimas elections. The politician will not have reached the prerequisite age by 2019. Christian Democrat union chairman Valentinas Stundys says that he currently has no information about any promises or agreements on Ž. Pavilionis’ (non)participation in the group prefect or party chairman election in return for party support in the presidential election, but believes that such claims are not without basis. “Here you can only make assumptions from the general context – from the overall campaign, from Žygimantas’ participation itself. The implications allow such assumptions. Because in reality Žygimantas, honestly speaking, took away votes from P. Saudargas. In other words Paulius obtained fewer votes than he could have if Žygimantas did not participate, perhaps that was his mission in this election?” V. Stundys mused. He does not, however, believe that Ž. Pavilionis’ participation in the chairman election and the third place taken in it is total self-immolation. “Who may stop Žygimantas for running in the open search for a candidate?” Stundys asks, adding that G. Landsbergis has already announced that the new party candidate in the presidential election could be elected in open elections, where not only party members would be allowed to vote, but also non-affiliated supporters of the party. If the Conservatives implemented primaries, it would mean that the party candidate to run for president would be elected not within just their own party, but also together with individuals not belonging to the party. This allows to test which candidate is more popular in society in general. Such a system is typical of the USA and France, however in order to establish such a system safeguards must be put in place, so that, for example, the Conservatives’ candidate would not be elected by members of other parties. A minimal fee to participate in the vote could be such a safeguard.